Boasting two open-air shalas overlooking Eagle Beach, premium Manduka mats, and the island’s most sought-after instructors, it’s no wonder that Manchebo Beach Resort & Spa has created a name for itself within the health and fitness community. An eco-friendly resort with a niche for wellness, Manchebo provides the tranquil atmosphere and hands-on approach that perfects weeklong yoga retreats and workshops. The resort offers over a dozen yoga and Pilates classes each week so that guests can find the perfect one to match their style and schedule. 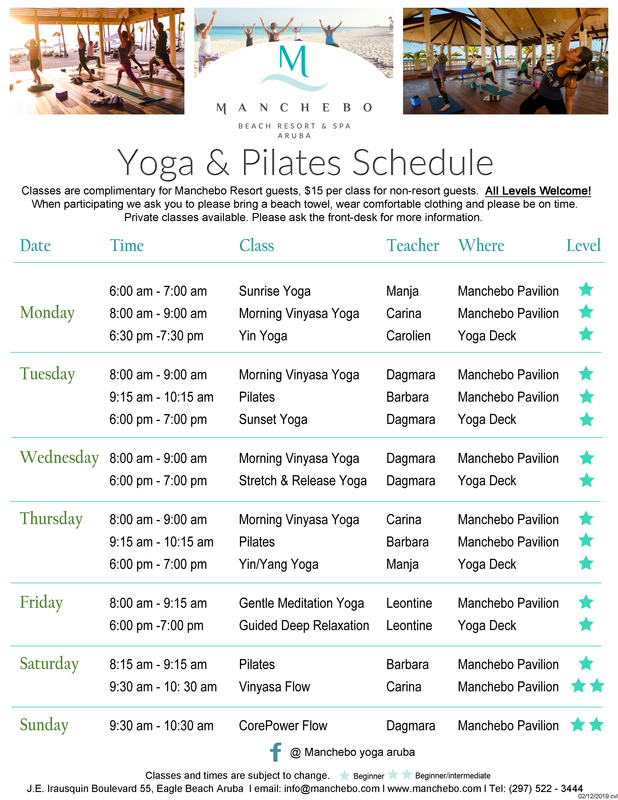 Classes range from energizing Morning Vinyasa Yoga at the Manchebo Pavilion to restorative Yin Yoga on the Yoga Deck at sunset and are complimentary for all guests. 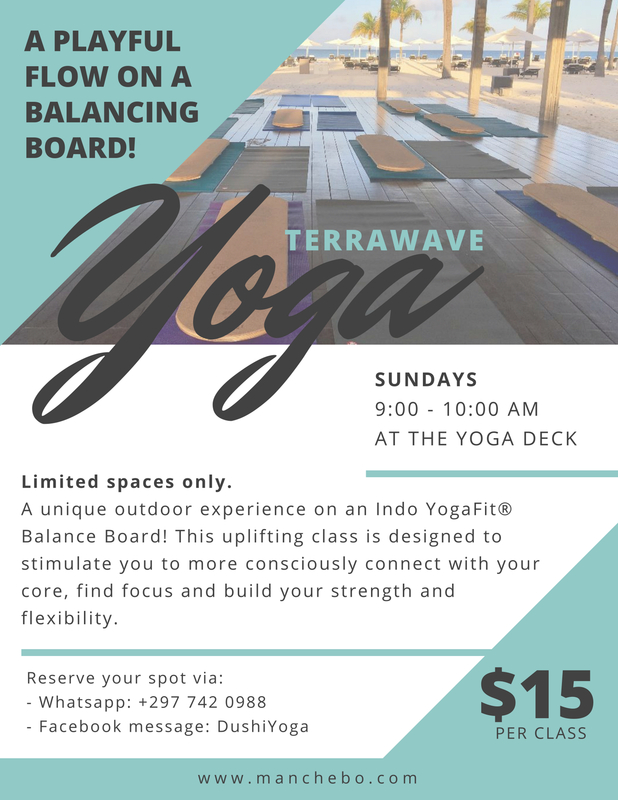 There’s even a new Terrawave Yoga class taught on Indo YogaFit® Balance Boards, designed to strengthen the core. Each class is designed to help guests more consciously connect with their body through movement while increasing strength and flexibility. In addition to daily classes taught by highly-trained instructors, Manchebo Beach Resort & Spa regularly offers yoga retreats led world-renowned teachers. Visit our Vacation Packages page to learn more about upcoming programs that combine yoga and Pilates with snorkeling, hiking, paddle-boarding, and plentiful clean eating. If interested in planning a yoga retreat, send our inbox some love at marketing@manchebo.com. Namaste!